Can You Enter Canada with a DUID? Driving under the influence of drugs (DUID) is prohibited across the United States by the same statutes that cover alcohol-related driving infractions. The penalties for driving on drugs are the same as for drunk driving, and since most DUI-drug laws do not specify a minimum content of drugs in the driver's blood you can be arrested for "drugged driving" if you are even slightly intoxicated. Criminal law generally defines a driver to be under the influence of drugs if they are "substantially incapable, either physically or mentally, to exercise sufficient physical control, clear judgment, or due care when operating a motor vehicle." For the purposes of Canadian immigration, any foreign national charged with DUID may be criminally inadmissible to Canada and denied entry without special permission. The presumption of innocence does not apply to international travel, and consequently crossing the Canadian border may not be permitted as soon as a person is arrested for DUID even though they have not yet been convicted of the offense. Criminal inadmissibility due to driving while on drugs can also impede eligibility across all of Canada's immigration programs including Express Entry, which means that the inadmissibility issue must be properly overcome before a Canadian work permit or study permit can be attained. Americans who are inadmissible to Canada because they have been charged with DUID or driving under the influence of drugs need Canadian Criminal Rehabilitation or a Temporary Resident Permit in order to travel to the country. Criminal Rehabilitation is a permanent solution enabling an individual to overcome their criminal inadmissibility forever but can take upwards of one year to receive and is only available to people who finished their full sentence at least five years prior. A Canada Temporary Resident Permit can be obtained rapidly, but is only a short-term solution allowing a person to enter and exit Canada with a DUID for up to three years at the most. Impaired driving is considered a serious crime in Canada punishable by up to a decade in prison. Consequently, such offenses do not qualify for automatic Deemed Rehabilitation after ten years. This means an American with a single misdemeanor for driving on drugs can be denied entry at the Canadian border even if the offense occurred a very long time ago. 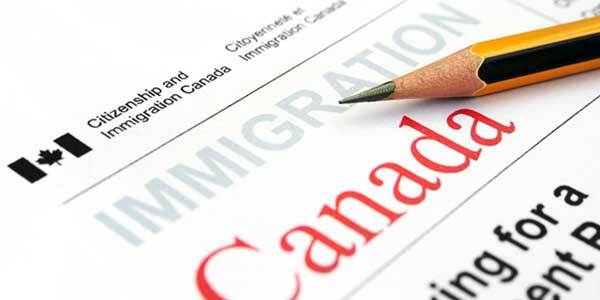 Interested in entering Canada with a DUID conviction? Phone us today for a free extensive consultation. What Drugs Can Lead to a DUID? Which States Have a DUI Drugs Law? 15 American states have enacted "zero tolerance" laws for DUID. Arizona, Delaware, Georgia, Idaho, Illinois, Indiana, Iowa, Michigan, Minnesota, North Carolina, Rhode Island, South Dakota, Utah, Virginia, and Wisconsin have all legally sanctioned drivers from operating a motor vehicle with even the slightest detectable level of a controlled substance or its metabolites in a person's bodily fluids. Four other states, Nevada, Ohio, Pennsylvania, and Washington, enforce per se levels for THC and its metabolites. Colorado, Washington State and Montana have set an intoxication threshold of 5 parts per billion of THC in the blood. A DUID conviction in Colorado can lead to ten days to one year incarceration. If it is an offender's first offense and they complete a drug or alcohol evaluation and treatment program as well as 48 to 96 hours of mandatory public service they can often avoid any jail time. Fines for driving while intoxicated by drugs range from $600 to $1000. There is also additional consequences regarding your license to drive if you refuse a blood test. Section 23152 of the California Vehicle Code is the state's DUI law, but most people are only familiar with the "b" part which mandates that individuals cannot operate a motor vehicle with a blood alcohol content (BAC) of .08 or greater. Far fewer people are familiar with the "a" part of the law. California Vehicle Code 23152(a) mandates that people not drive while impaired by any drug or alcohol, and does not require an objective measurement. This means that if the officer thinks you are intoxicated, you can be charged for driving while high. A "drugs DUI" is a misdemeanor in the state, but can be filed as a felony if you have three or more prior intoxicated driving offenses or caused an accident that leads to bodily harm. Consequences for a DUI-drugs in California are the same as for drinking and driving, and can render a person criminally inadmissible to Canada. California law defines "drugs" as any substance that can affect a person's brain, muscles, or nervous system. California law also defines driving while under the influence of drugs (DUID) as operating a motor vehicle when impaired by drugs "to the point that an individual can no longer drive like a sober person under similar circumstances." Penalties for a typical DUID conviction in California include three to five years of probation, a fine of around $1800, a driver's license suspension, requirement that the offender attend a California DUI school, and in some cases a short jail sentence depending on the person's prior record and the circumstances of the case. Now that some US states have legalized marijuana, law enforcement is increasingly concerned about the number of young people driving while stoned. Research has shown that more than two-thirds of drugs users in the USA have driven after smoking cannabis. The Institute of Behaviour and Health estimates that drugged driving causes 20% of crashes in the United States, and published results from a national survey indicating that driving on drugs was more common in the country than driving while drunk. The California Office of Traffic Safety stated in 2012 that 30% of all drivers killed in motor vehicle crashes in the state tested positive for drugs. When a person is arrested for DUID, they will frequently be asked to submit to a blood or urine test, but a positive result on such a test is not always conclusive evidence that the driver was under the influence of a drug. Since a drug such as weed (THC) will stay in a person's body for weeks, a blood test may detect the drug in the blood of a sober person who had not smoked any marijuana in the previous 24 hours. It is also possible that a Peace Officer noticed signs of impairment that were in fact related to the driver being sick, injured, tired, nervous, or having allergies. For example, a person can have poor balance due to an injury, inner ear disorder, or even their footwear, and can have mydriasis or dilated pupils because of nerves or excitement. Even chemical tests are not always accurate due to improper handling of samples, drawing blood incorrectly, and contaminated medical equipment. In addition to urinalysis and blood testing, roadside sobriety checkpoints operated by police departments across the country are beginning to use saliva tests to detect stoned drivers. The presence of cannabis can only be detected in a person's saliva for one to two hours following ingestion, so if the police detect any marijuana in a driver's saliva, they know the person is very likely driving while high on weed. As marijuana legalization and decriminalization spread across the United States, many suspect the Federal Government will eventually push for all states to have a DUID law. The Government of Canada is also cracking down on stoned drivers. Bill C-46 was implemented in December of 2018 and is designed to help Canadian police departments better handle people who are potentially driving while high. Now that recreational cannabis is legal in Canada, these tough new impaired driving laws were brought about to ensure drug impairment was being adequately addressed in the country, not just alcohol impairment. It does not matter if the driver smoked dried marijuana or consumed cannabis edibles like pot brownies, even a small amount of THC can slow a person's reaction time and affect their motor skills and, consequently, anyone found driving under the influence of cannabis can be criminally charged in Canada. DUID does not stand for driving under the influence of illegal drugs, as even prescription medication and over-the-counter drugs can impair a person enough for them to be charged if operating a motor vehicle. Similar to alcohol-related impaired driving cases, there are a number of defense strategies possible for individuals facing a DUI drugs charge. One of the most common is if the police officer that believed the accused was showing symptoms of drug consumption is not a drug recognition expert (DRE), a DUI attorney may be able to prevent him or her from testifying against the accused. In addition to DUID, another less common driving while on drugs acronym is OWPD or operating with the presence of drugs. There is no set required amount of drugs to trigger an OWPD, and a person operating a vehicle with any amount of an intoxicating narcotic could face an OWPD criminal charge as a result. Depending on the county and specific circumstances relating to the case, first time DUID offenders may be given the option to enroll in a drug diversion or deferment program. This allows the offender to avoid a criminal record provided they meet all the requirements of the conditional discharge program which can include community service, drug rehab, addiction counseling, as well as monetary fines. While participating in a drug diversion program, however, an individual can still be considered criminally inadmissible to Canada since they still do not have proof of a "favorable ruling" after their arrest. If a person gets their driving on drugs conviction expunged, he or she may be eligible to travel to Canada once again without requiring special entrance permission but should always consult with a Canadian immigration lawyer. In 2018, cannabis was legalized in Canada. At the same time, three new criminal offenses were created for drivers who have consumed marijuana before getting behind the wheel of a car. Bill C-46 changed Canada's impaired driving laws to include specific limits on how much THC a driver can legally have in their blood. THC is the primary psychoactive ingredient in pot, and drivers who have too many nanograms of THC per milliliter of blood within two hours of operating a motor vehicle can now be criminally charged in Canada. Anyone operating a motor vehicle with at least two nanograms (ng) of THC per milliliter of blood can now be punished under the Canadian Criminal Code. If he or she is driving with more than two ng but less than five ng of THC, it may be a summary offense that includes a maximum fine of $1,000. Driving with more than five ng of THC per ml of blood is a hybrid offense. Driving with a blood alcohol concentration (BAC) of at least .05 combined with at least 2.5 ng of THC per ml of blood is also a hybrid offense that can be prosecuted as either an indictable or summary offense. To ascertain whether or not a driver is intoxicated by drugs such as marijuana, an increasing number of police officers are becoming trained "drug recognition experts" and many police departments have updated their Standard Field Sobriety Testing (SFST) protocols. Under the new laws, police in Canada can now demand a blood sample from any driver they believe is drug-impaired, and qualified blood technicians can now take blood samples without the supervision of a doctor. If you have been arrested or convicted of DUID and wish to go to Canada, contact our team for a free evaluation.